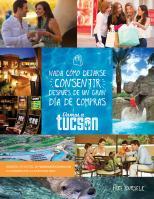 The Embassy Suites by Hilton Tucson Paloma Village is nestled in the Foothills of the Catalina Mountains. Enjoy a complimentary full cooked to order breakfast buffet to start out your day and a complimentary evening social hour in the evening. Our upscale hotel features two room suites appointed with flat screen TVs in both the bedroom and living areas and refrigerators, microwaves, coffee makers, work desks and complimentary Wi-Fi. The hotel features a heated pool, hot tub, fitness center and business center. Walk or utilize the complimentary shuttle to dining, shopping and recreational facilities.